When we published the 450sqm modern minimalist home in Cainta, many were immediately captivated by its imposing façade that showcases wood, cement, and glass. Beyond the front door, well-thought-out areas can be found. A high ceiling defines the living area, a cozy outdoor nook invites guests to relax, and impressive works of art complete even the smallest of corners. 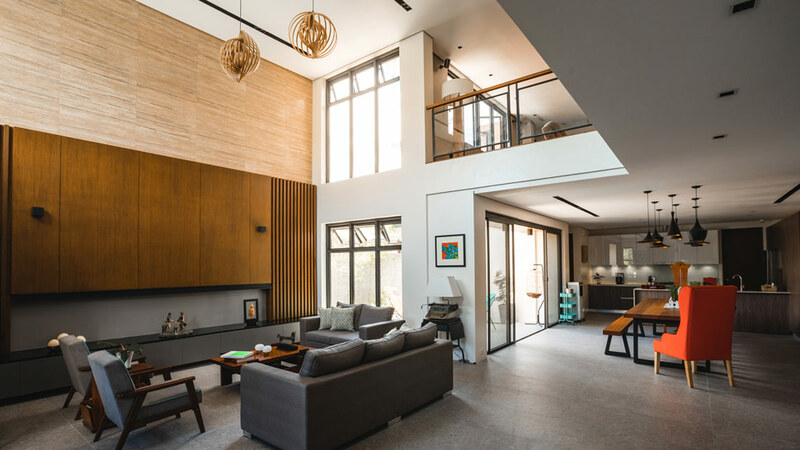 A project by architect Agatha Rodis, the three-storey property was finished in collaboration with Minimalist Manila (interiors) and Western Engineering and Industrial Supply (contractor). 1. Choose materials based on function and make sure these adapt to our tropical setting.